These duos at the transition from Baroque to Early Classics show a refined melodic line and they are joyful to play. Their degree of difficulty is not very high, and they are perfectly suited for lessons and for making music at home. 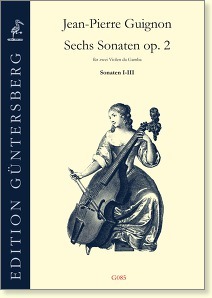 The original title VI Sonates a deux Violoncelles, Baßes de Viole, ou Baßons ... suggests that the sonatas can be played on several bass instruments. 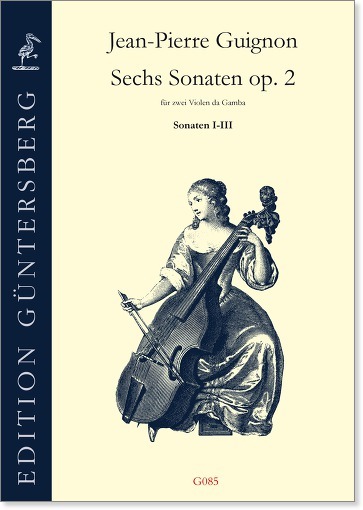 This edition in alto and bass clef is for viola da gambas. See also our edition for cellos G083-84.